Flight (2016) is inspired by stories, images and experiences of travel and migration. The final duet is a study of two contrasting, yet mutually dependent characters, confined to a shared room in an unnamed city. It has been performed by casts of women and men, breaking tradition within the choreographic language and examining how gender roles can be balanced. The excerpt from Flight is presented with permission from RAMBERT, the commissioner and first producer of the Production. Dzierzon is a UK-based choreographer and producer who performed with Royal Danish Ballet, Gothenburg Ballet and Rambert. Malgorzata is a Clore Cultural Leadership Programme Fellow. 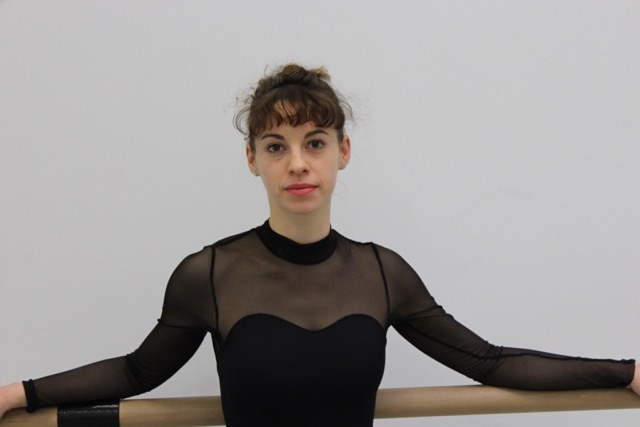 French-born Nabet attended the Royal Ballet School in Antwerp, joining Opera na Zamku in 2011. McBeth is from New Zealand and joined the Company last year, having graduated the The Royal Conservatoire of Scotland.